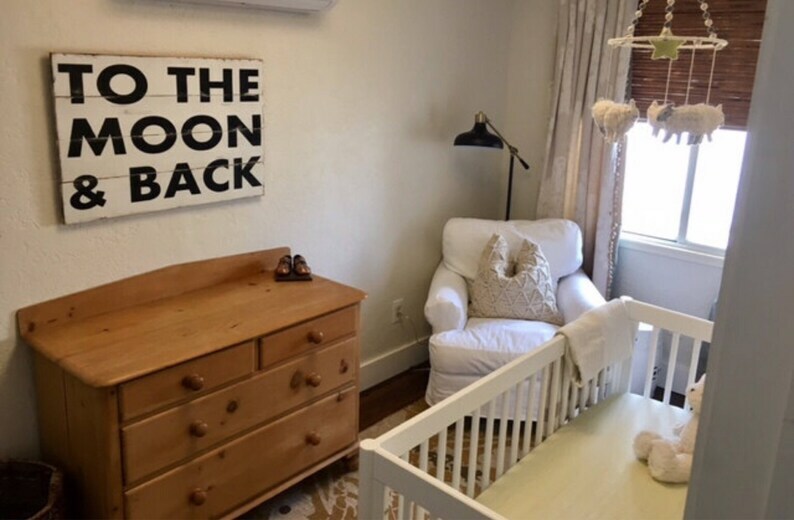 This piece of rustic home décor is the perfect gift for the nursery , boys room, or traveler to space! The purchase of this listing is for one wooden sign that measures approximately 32 x 22 inches. These wood signs are made to order and take approximately two weeks to process. I personally hand pick each plank of cedar wood and cut, stain, paint and seal with care. The wood is distressed as sealed with a satin finish for protection and light shine. If you would like this world map sign in a different color scheme, please feel free to message me about a custom order. Love the sign! Great shop. They accommodated my custom request of changing the letter color to black. Super easy! Looks great in the nursery! This turned out so gorgeous!! Very nice quality and painting. We are VERY happy with our guestbook purchase and can’t wait to use it at our wedding. Thank you!!! I love the look of this guest book! It look about two weeks to ship and another week to get here. It turned out just like I asked.